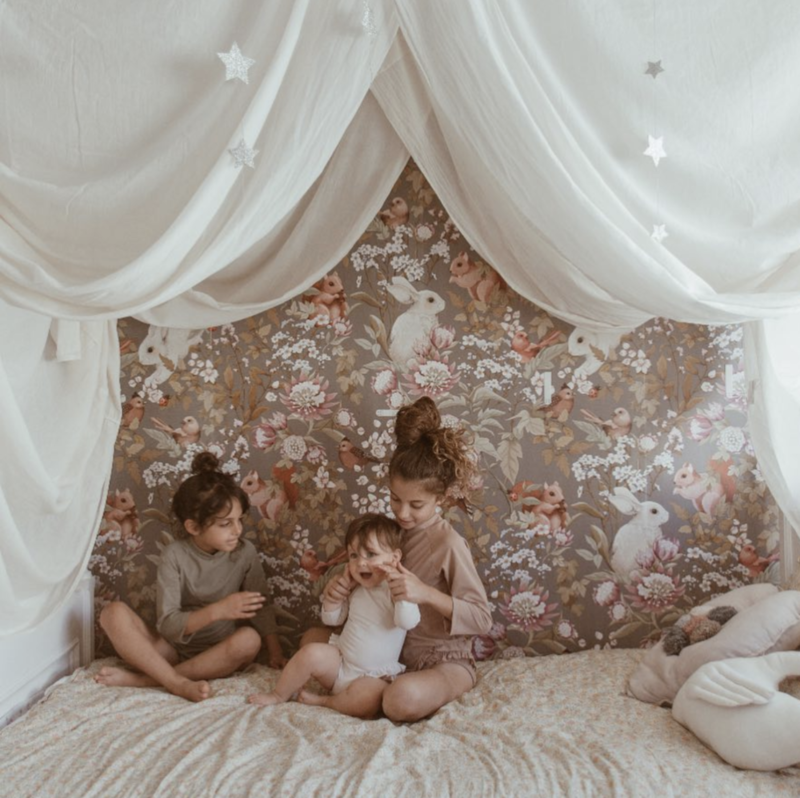 Ever wonder how those cute little insta families get there kids rooms looking so amazing? Well, let us introduce to you Jimmy Cricket. 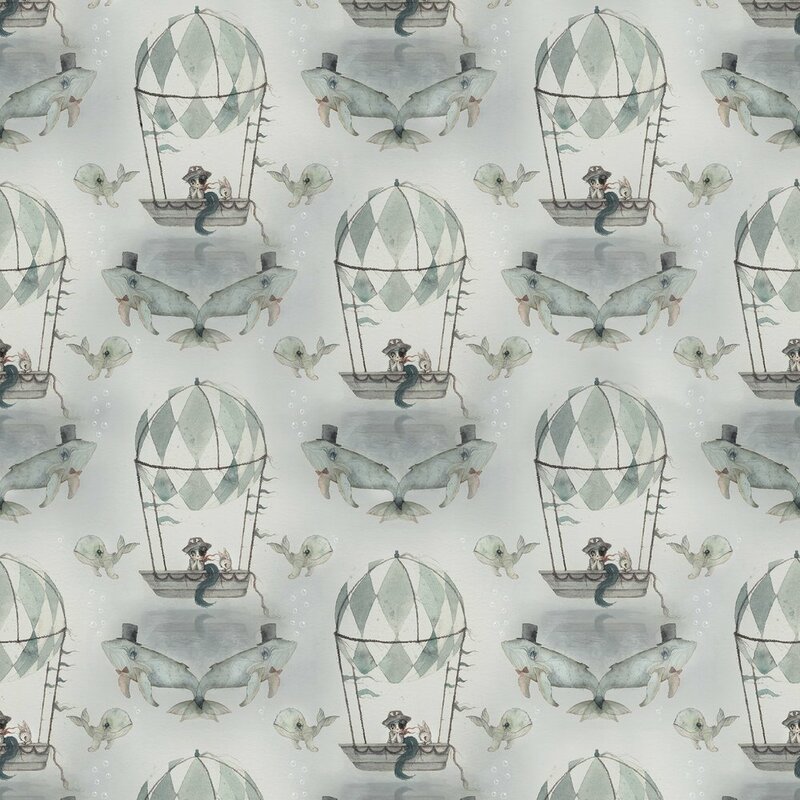 An incredible brand that collaborates with artist all over the world, working together creating beautiful wallpapers that will bring your kids rooms + their imagination to life. Gone are the days of plain white walls, timber floors and neutral tones, with the current movement of less is more, kids rooms are quickly moving towards fun, inspiring decor that will not only inspire creative play but create a space that reflects your little ones, a place to call their own. We worked with Jimmy Cricket and stylist Paige Anderson on a feature shoot in Issue #2. Paige created a room so dreamy we never wanted to leave. Keeping the look minimal so that the artwork & clothing took centre stage, it was styled with a beautiful vintage rug, a couch forest green couch and some incredible cushions by Kip & Co. A play room (or lounge room) transformed and gave us lots of inspiration for our own places! We used the vibrant Jungle Wallpaper from Jimmy Cricket, check it out here. Collaborating with some of our favourite artists / illustrators, Amanda Newton (owner and founder of Jimmy Cricket) takes interior styling to a new level. 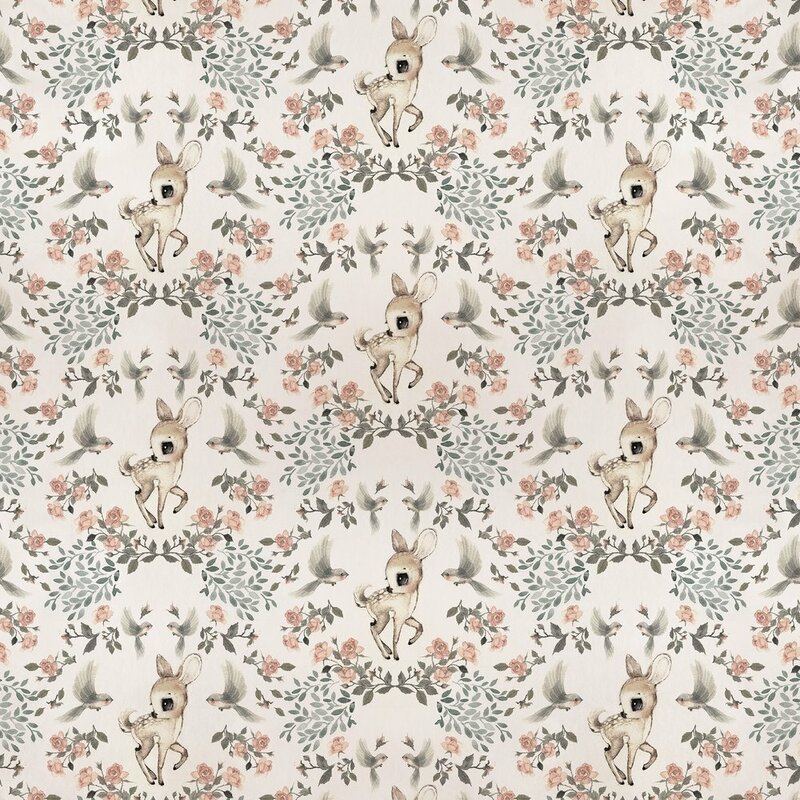 With gorgeous designs by Fleur Harris, Mrs Mighetto & Kelly Smith, we have fallen in love with each an every print. For the young and young art heart, there is a print for everyone. Designed with kids in mind, all wallpaper is printed on non woven paper and is coated for both quality and practicality. Meaning… the coating allows the wallpaper to be wiped over kept looking clean and lovely. perfect for little hands and wandering crayons. 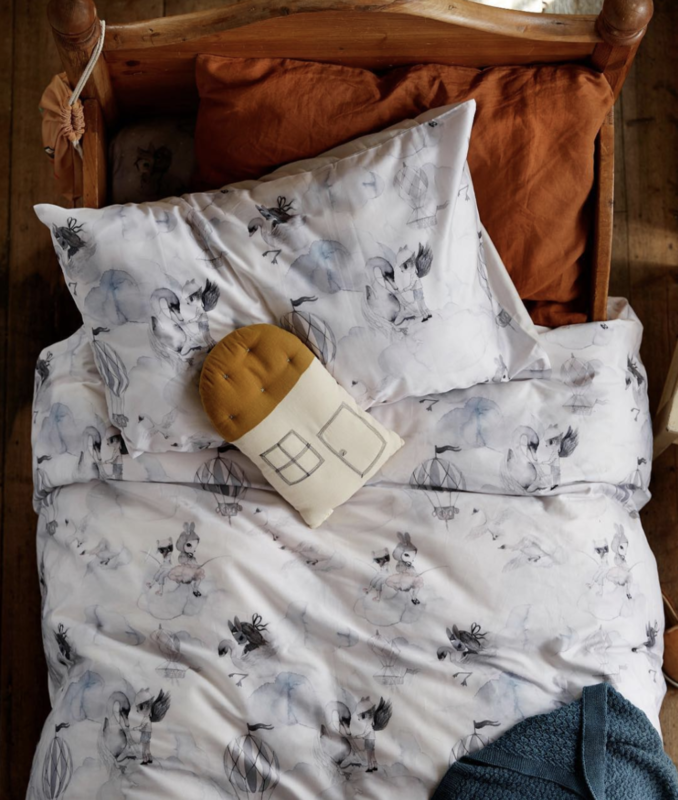 Wallpaper aside, they have just launched a beautiful range of bedding collaborating with Mrs Mighetto. A collaboration match that couldn’t have been more perfect, they have created a collection of whimsy and wonder that children and (parents) will adore. Launching next Monday 15th April. From deep in the jungle watching the Toucans & Leopards to floating balloons that take you to magical places we just adore everything about Jimmy Cricket, that in the next few weeks we have a interview with founder Amanda! So, stay tuned as she will be giving us some tips on styling and take us a little behind the scenes on the collaboration process and bringing these incredible artworks to life. In the meantime, check out the incredible wallpapers over at www.jimmycricket.com.au and get inspired… we feel a winter DIY project coming on! Images below left-right, top to bottom.